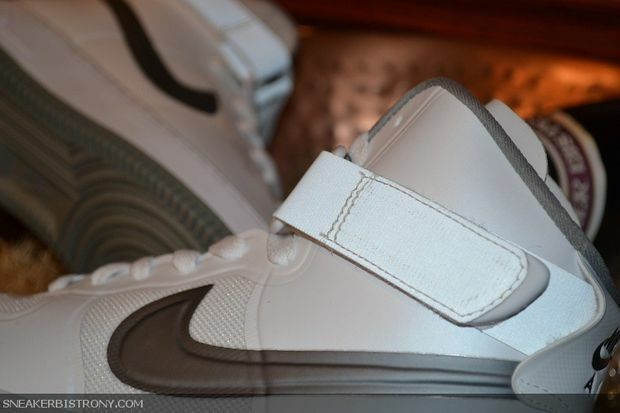 Nike created the Air Force 1 High Hyperfuse White / Medium Grey colorway but as of now, it is only a sample. 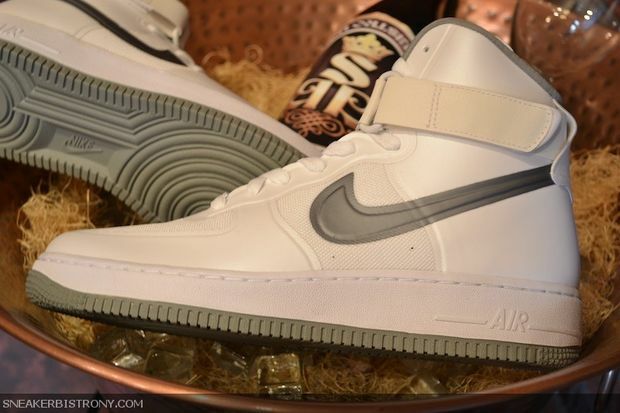 This colorway was the first to ever release on an Air Force 1 High and was last re-issued during the 25th AF-1 Anniversary in the mid 2000’s. 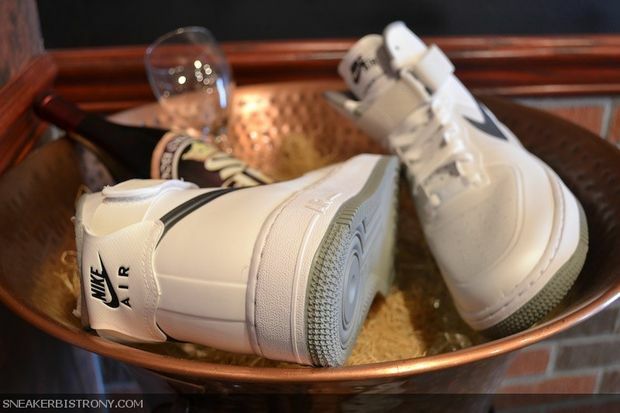 Sneaker Bistro will be having a sample up for raffle as today they celebrate their 5 Year anniversary. 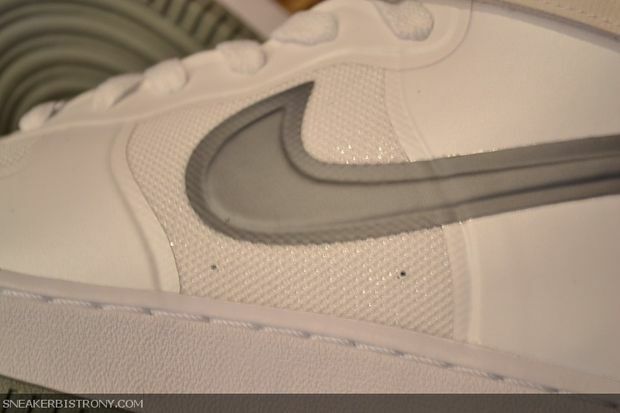 This AF-1 High features a Medium Grey Swoosh and Sole, Following a White Upper, Hyperfuse side panels and toe. 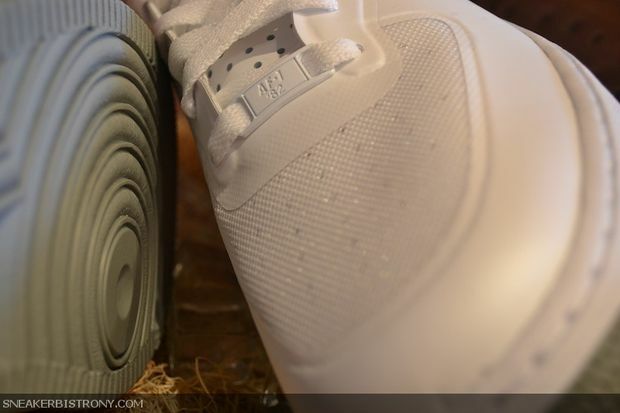 The Medium Grey/White Air Force 1 also features a 3M strap. 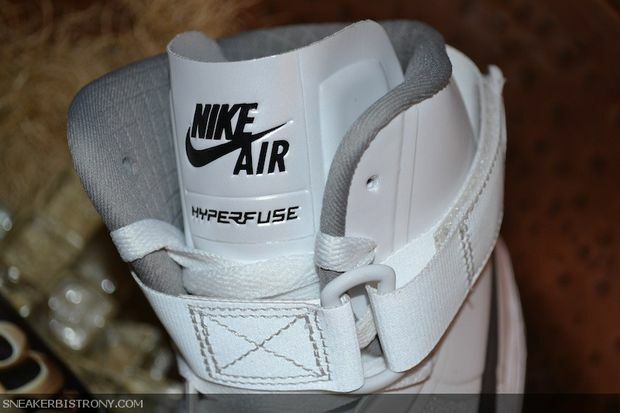 As of now, There is no word that the Nike Air Force 1 High Hyperfuse White / Medium Grey will release so if you’re a true collector, We suggest you head over to Sneaker Bistro now for a chance to claim this Nike Air Force 1 High Hyperfuse White / Medium Grey Sample.